Highlights of the new site include a streamlined user interface, targeted informational categories, enhanced access to search functions and graphical based divisional landing pages. A key feature of the redesign offers mobile responsiveness to meet the needs of the growing number of users accessing the site via handheld and tablet devices. Be sure to explore all of the topics. Some items of interest to genealogists are found on the "Online Collections" page as well as the "Genealogy Resources" and other pages. The new site has a nice clean look and seems easy to navigate and search. The pages resize for smaller windows. I love this as so many sites nowadays force me to make my browser fill the full screen width or to scroll horizontally. As with any website, be creative with your search terms and think about how an item would have been referred to in documents. 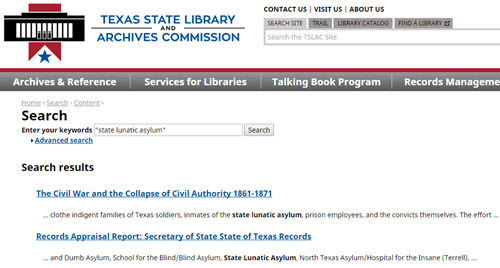 For example, a search for "texas lunatic asylum" results in no hits. Searching for "state lunatic asylum" or just "lunatic asylum" results in hits in two different collections. Neither of the hits is in a collection linked from the "Genealogy Resources" or "Online Collections" pages. Today's researchers are interested in many less used records to help us learn the full life story of our ancestor's lives. 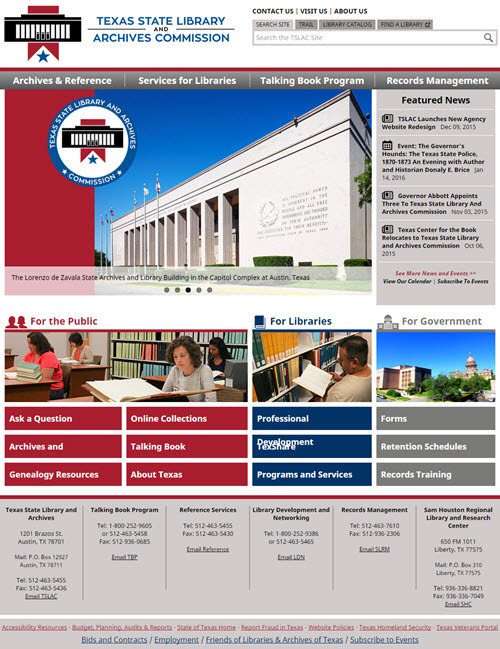 Debbie Parker Wayne, "TSLAC Website Redesign," Deb's Delvings Blog, posted 9 December 2015 (http://debsdelvings.blogspot.com/ : accessed [date]). "Genetic Genealogy: Autosomal DNA Course" is now available! One of the reasons I haven't blogged as much this past year is that I have been developing an online course on using autosomal DNA (atDNA) for genetic genealogy. The National Genealogical Society (NGS) just announced availability of the course. 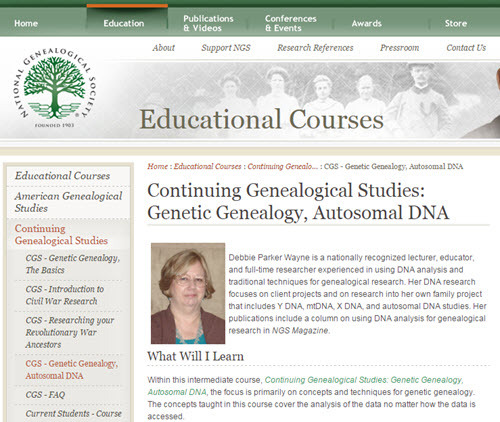 See http://upfront.ngsgenealogy.org/2015/12/ngs-launches-its-newest-course-genetic.html for more information. The NGS courses are structured with short modules. Each module concludes with a self-test to confirm understanding before moving to the next module. Courses include a glossary and a reading list where additional information can be found. After registering for a course, you work at your own pace and on your own time schedule. The "Autosomal DNA Course" is aimed at beginner to intermediate level researchers. My own research cases are used to illustrate examples, although some names are changed and blurred for privacy purposes. The first module begins with a brief review of DNA basics including inheritance patterns for DNA. The primary focus is atDNA with some information on X-DNA. Mitochondrial DNA, Y-DNA, and genetic basics are covered in an earlier course titled "Continuing Genealogical Studies: Genetic Genealogy, the Basics" authored by Dr. Thomas H. Shawker. The "Autosomal DNA Course" briefly discusses some of the testing companies and tools, but the focus is on concepts for analysis that can be applied no matter which testing company is used and which tool is used to do the analysis. I hope this course helps genealogists who are ready to take the next step toward being a genetic genealogist. My goal in teaching and writing about genetic genealogy has always been to teach only as much of the biology as is needed to use genetics for genealogical research. I try to cover the important concepts we need to know in a way that those of us who are not biologists can understand. I don't have anything against learning more about biology. As a matter of fact, I encourage genealogists who start using DNA to continue studying biological concepts. The more we understand biology and inheritance of DNA, the more we understand all of the implications when forming genealogical conclusions based on DNA. But, no one should be scared away from genetic genealogy thinking you need a biology degree before you start. Genetic genealogy is a complex subject. For many of us, we need to read or hear something more than once before it sinks in. Reviewing the course material and studying the articles and books in the reading list will cement your understanding of the concepts and allow you to move to more advanced topics with a strong foundation. Don't forget to check out the other Continuing Genealogical Studies and American Genealogical Studies courses available at http://www.ngsgenealogy.org/cs/educational_courses. Debbie Parker Wayne, "NGS Announces New Course -- Genetic Genealogy: Autosomal DNA Course," Deb's Delvings Blog, posted 9 December 2015 (http://debsdelvings.blogspot.com/ : accessed [date]). After presentations at conferences many people still have questions on how to analyze their DNA test results. Most of us need hands-on experience to understand how to apply the concepts taught in a lecture. The Texas State Genealogical Society (TxSGS) 2015 Family History Conference has both a great lineup of DNA lectures and a two-hour hands-on workshop for those who already have some basic knowledge. Friday afternoon I will lead a two-hour intermediate level DNA workshop from 12:30 to 2:30 p.m. The workshop will be repeated from 3:00 to 5:00 p.m. Each workshop requires registration and a fee above the conference registration. This genetic genealogy workshop is for researchers who are a step beyond the beginner level. DNA beginners may have difficulty with some concepts and tasks. If you aren't already "a step beyond the beginner level" you can learn more in this workshop by studying before attending the workshop. A good place to start would be the following course and articles. The other "Foundational Knowledge" links at http://debbiewayne.com/presentations/gatagacc_biblio.php. Saturday, 1 p.m., Debbie Parker Wayne, CG, CGL, "GATA GACC! DNA and Genetic Genealogy Today"
Saturday, 2:30 p.m., Diahan Southard, "What now? Your Next Steps With Autosomal DNA Testing"
Saturday, 4:00 p.m., Debbie Parker Wayne, CG, CGL, "Correlating atDNA with GenomeMate"
Sunday, 1 p.m., Diahan Southard, "A Beginners Guide To Genetic Genealogy"
Sunday, 2:30 p.m., Deena Coutant, "DNA Third-Party Tools And Databases"
Sunday, 4:00 p.m. Diahan Southard, "An Outsiders Look Inside AncestryDNA"
In addition to the great DNA line-up, the alternating keynote speakers are the ever-popular J. Mark Lowe, CG, and Lisa Louise Cooke. Presenters on non-DNA topics include Susan Ball; Dr. Jose Barragan; Becky Broadbent; H. M. Christmas; Deena Coutant; Schelly Talalay Dardashti; Teri Flack; Sharon Gillins; Connie Gray; Sara Gredler; Colleen Greene; James Harkins (Texas General Land Office); Dr. Martha Everman Jones; Janice Lovelace; Bernard N. Meisner; Kelvin L. Meyers; Laurel Neuman; Paula Perkins; Cari Taplin, CG; Patricia G. Taylor; Randy Whited; Ari Wilkins; and Sharon Wolff. Check out the conference page for more specifics on all the exciting activities and presentations and for registration information. TxSGS has organized this conference a little differently than in the past where one keynote speaker presented all day on Saturday. Be sure to check the schedule so you don't miss anything. Debbie Parker Wayne, "Hands-on DNA Workshop and Lectures at TxSGS Conference - 30 October to 1 November 2015," Deb's Delvings Blog, posted 27 September 2015 (http://debsdelvings.blogspot.com/ : accessed [date]). ​Certified Genealogist, CG, Certified Genealogical Lecturer, and CGL are proprietary service marks of the Board for Certification of Genealogists®, used under license by board certificants after periodic evaluations for genealogical competence. The Texas State Library and Archives Commission (TSLAC) is hosting another Genealogy After Dark program. The announcement is included below. This is one of my favorite genealogy events in Texas. A chance to view materials at the archives, after work hours for those with a day job, when parking is easier to find in downtown Austin, and with the archivists and librarians completely devoted to helping you learn more about the wonderful and unique resources available at this repository. The Texas State Library and Archives Commission will host our next Genealogy After Dark event on Friday, October 16, 2015 from 5:45 p.m. to 11:00 p.m. Optional programming will be provided throughout the evening. The State Library will close at 5:00 p.m. and reopen at 5:45 p.m. for Genealogy After Dark participants. The building will be locked at 6:30 p.m. and no participants will be admitted after that time. If you have questions, please do not hesitate to contact [Ashley Stevens]. [Her] information is located below. Debbie Parker Wayne, "TSLAC Genealogy After Dark - 16 October 2015," Deb's Delvings Blog, posted 27 September 2015 (http://debsdelvings.blogspot.com/ : accessed [date]). 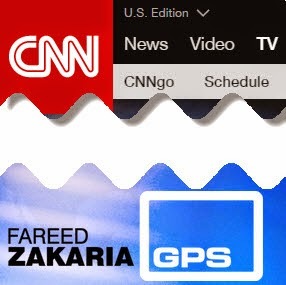 In the midst of all the depressing stories on cable news, CNN's Fareed Zakaria's Global Public Square had an inspiring special show today that I wish could be mandatory viewing for all voting Americans and all American politicians. The show encourages support of research "to power America's future." And the show even has a genealogy angle, while all of the segments focus on my other favorite subjects, science and technology. "Moonshots for the 21st Century" is the title of the special. I highly recommend watching this when it repeats or using the podcast / iTunes links at the bottom of the show's webpage. Each segment focuses on a new idea that might make the future of America and our world better in the same way as the things we learned preparing for the trip to the moon did in the 1960s. I found all of the segments interesting, but was fascinated by the one that applies to family history. In the segment on mapping the human brain, Dr. Michio Kaku, theoretical physicist and author of The Future of the Mind (and one of my favorite living scientists), talked about the challenges in mapping the human brain the way we have mapped the human genome. 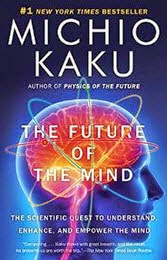 Kaku said, "we've learned more about the brain in the last ten and fifteen years than in all of human history combined." He went on to say we can now do things that were thought preposterous ten or fifteen years ago. After discussing some of the ideas seen in recent science fiction movies and how those things may become possible, Kaku said, "someday we may have a library of souls ... One day our descendants may have a conversation with us because we live forever in a library of souls." I'm not sure if I think that is more creepy or exciting—it is both of those things to me. So now I have to add to my to-do list not only creating a book about my ancestors that will be interesting enough to get my descendants to read—I have to think about how I want my mind to present this to my descendants from my captured brain after I am gone. Hmmm. I can edit what I put in a book or article. How do I edit my brain to be sure my thoughts are presented the way I want after my body is gone and my brain is stored in a computer? Debbie Parker Wayne, "Family Stories from a 'Library of Souls'," Deb's Delvings Blog, posted 15 March 2015 (http://debsdelvings.blogspot.com/ : accessed [date]). Genetic Genealogy Today: Review and Updates - A brief review of genetic genealogy basics such as the inheritance patterns of each type of DNA used for genealogy. This includes an introduction to some of the tools to be illustrated in later sessions. Genetic Genealogy Company Comparisons - Information on how to choose a DNA testing company, the pros and cons of each company's offerings, and the tests available today. Tools and Applications for mtDNA - Illustration of a real-life case study using the latest tools and techniques to analyze mitochondrial DNA (passed along the matrilineal line). Tools and Applications for Y-DNA - Illustration of a real-life case study using the latest tools and techniques to analyze Y-DNA (passed along the patrilineal line). Tools and Applications for atDNA - Illustration of a real-life case study using the latest tools and techniques to analyze autosomal DNA (inherited through all ancestral lines). Check here for more information and registration links. Debbie Parker Wayne, "All-day Intermediate DNA Workshop," Deb's Delvings Blog, posted 9 March 2015 (http://debsdelvings.blogspot.com/ : accessed [date]). The Tyler FamilySearch Center and the East Texas Genealogical Society join once again to provide the 15th Annual Family History Fair. This is free and open to all, but you must pre-register to reserve a syllabus packet. Download Pre-Registration form at ETGS website at www.etgs.org OR at Event Blogspot at http://2015-fhf-tylertx.blogspot.com. Registration starts at 8:30a.m. Welcome and Introductions start at 9:00a.m. followed by the first session. Debbie Parker Wayne, "Free Genealogy Seminar, Tyler, Texas," Deb's Delvings Blog, posted 9 March 2015 (http://debsdelvings.blogspot.com/ : accessed [date]). I have received several private e-mail messages from Europeans asking me to provide an apostille for DNA test results. This question may come up more often as DNA testing becomes more common, but some may be using the test results in ways not intended or easily supported with our current handling methods for genetic genealogy tests. An apostille is a a certificate that authenticates a document for use in another country. Genealogists who do research for and in European countries often deal with the need for an apostille authenticating the documents they provide. While I would be willing to attest to the contents of my own reports or proof arguments, I do so with many caveats. I cannot attest to who provided a particular DNA sample—and neither can any genealogical DNA testing company that receives the sample via postal service. I cannot attest to the validity of the test results—only the testing company can do that. 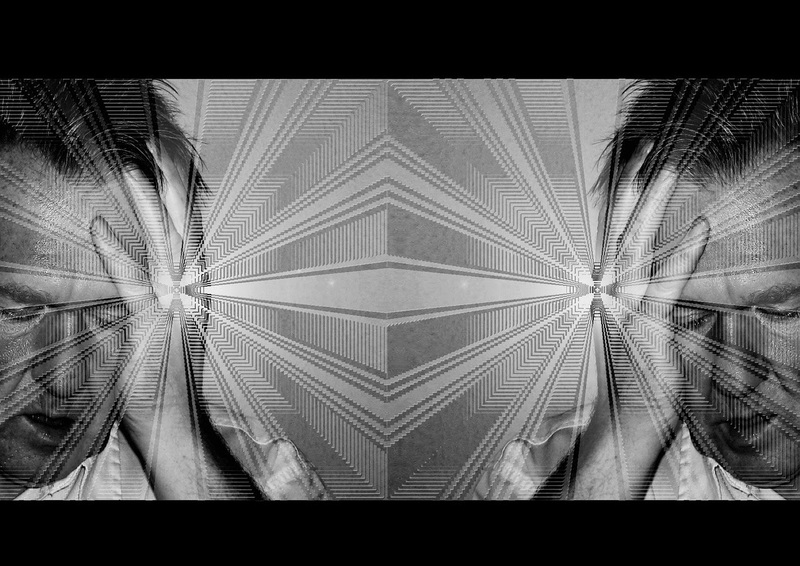 I cannot attest to the interpretation of those results unless I do the interpretation myself. Anyone who needs authentication of DNA test results should contact the testing company to determine if the company can provide such authentication and what rules for chain of custody might be required. It would be best to determine the needed authentication is available before taking the test as special circumstances may be needed to verify the sample came from a particular person. Debbie Parker Wayne, "Apostille or certification of DNA Test results," Deb's Delvings Blog, posted 26 February 2015 (http://debsdelvings.blogspot.com/ : accessed [date]). 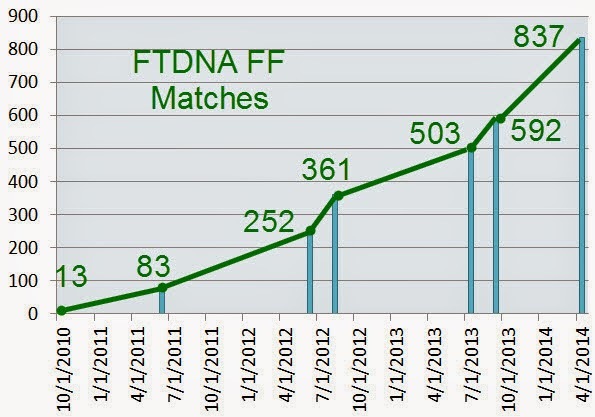 The availability of genetic genealogy education this past year or two has soared. In addition to many regular conference sessions and one-day pre-conference offerings focused on genetic genealogy, last year saw the first week-long courses in genetic genealogy offered at the Genealogical Research Institute of Pittsburgh (GRIP). We filled two sessions. Then in January at Salt Lake Institute of Genealogy (SLIG) we filled a getting started course and an advanced course. Registration for GRIP 2015 has started. This year GRIP is offering courses on two dates, (1) June 28 to July 3, 2015, and (2) July 19 to July 24, 2015. We still have openings for "Practical Genetic Genealogy" in both sessions. The 2015 "Practical Genetic Genealogy" course has been modified based on our experience and on suggestions from 2014 attendees. The GRIP course still goes more in-depth than the getting started course did at SLIG. Several topics have been compressed or removed, without removing any critical content. This makes time for two new sessions illustrating genealogical problem solving using genetic genealogy tools such as GenomeMate, Genetic Genealogy Kit (GGK), utilities on DNAgedcom or GEDmatch, or other useful tools. CeCe Moore, Blaine Bettinger, and I will speak again at GRIP. We are also adding a new speaker. Patti Hobbs will be joining us this year at GRIP in July. She has been focused on completing her portfolio for the Board for Certification of Genealogists. I was able to convince her to attend the 2014 "Practical Genetic Genealogy" course with the idea she would help teach once she completed her portfolio. It was not a surprise to anyone who knows her when we saw the announcement that Patricia Lee Hobbs was now a board-certified genealogist. Her knowledge of biology helps her understand more than many of us about how DNA can be used in genealogy, her teaching and speaking skills help her explain complex concepts in an easy to understand way, her credentials demonstrate she knows traditional research. Patti will be a great addition as we focus on correlating genetics and documentary evidence to solve genealogical problems. CeCe Moore is well-known as the genetic genealogy consultant for Finding Your Roots with Henry Louis Gates, Jr. and Genealogy Roadshow, both on PBS. She has worked many high-profile cases that used DNA to trace family history, seen on television on 20/20, CBS This Morning, and The Doctors. She also works extensively with individuals of unknown parentage to help them learn about their genealogy through DNA, often reuniting them with biological family members. CeCe uses case studies from her work to illustrate how autosomal DNA can help solve genealogical problems. Blaine Bettinger, PhD (Biochemistry), JD, is also well-known in the genetic genealogy community. Blaine is an intellectual property attorney and blogs as The Genetic Genealogist. He chaired a committee that formed Genetic Genealogy Standards to help us all as we navigate this exciting field of research. Blaine's experience as a project administrator and in using genetic genealogy for his own research provide useful examples for students. I am a full-time, professional genealogist experienced using DNA analysis, as well as more traditional techniques, for genealogical research. My client projects include both documentary research and DNA analysis. My family research incorporates both. I performed research for television shows such as the Canadian series Ancestors in the Attic, the PBS series Finding Your Roots with Henry Louis Gates Jr., and The Learning Channel’s Who Do You Think You Are?. Between the four of us, we have wide-ranging experience in documentary research and genetic genealogy. We all enjoy showing others how exciting it can be to solve genealogical problems with DNA test results. We want all of our students to leave with knowledge they can immediately put to use, gained from hands-on experience using DNA evidence from real family history stories. Because genetic genealogy is a complex topic some concepts are best retained when heard more than once. Our reading list includes some books that will give you a head start. My online bibliography also has links to some articles freely available online and to some videos. We'd love to have you join us. The GRIP registration page is here. Debbie Parker Wayne, "Genetic Genealogy at GRIP 2015," Deb's Delvings Blog, posted 23 February 2015 (http://debsdelvings.blogspot.com/ : accessed [date]). Forensic Genealogy Institute, the Institute for Genetic Genealogy (I4GG), the Salt Lake Institute of Genealogy (SLIG), and many of my other presentations that I would put copies of my Quick Reference DNA documents on this blog where they could get copies. I'm finally fulfilling that promise so everyone can print color copies of the complete document even if only portions or non-color copies were provided in syllabus material. Many of these have a Creative Commons license so others can improve them as long as copies are freely provided to others under the same licensing scheme. QuickRef___DNA_mt_.pdf - mtDNA QuickRef with my mtDNA molecule diagram, mtDNA Regions and Common Ancestor Matches chart, Family Tree DNA Match List Threshold chart, Native American mtDNA Haplogroups table, and Heteroplasmy notes. QuickRef___DNA_Y.pdf - Y-DNA STR Marker chart noting fast-mutating markers, conversion between AncestryDNA and Family Tree DNA marker values, and noting which Family Tree DNA markers were tested by AncestryDNA. QuickRef_DNA_inherited_atDNA.pdf - table with Percentage of Shared Autosomal DNA averages by relationship, some shared percentage ranges and some cM values also included. Xinherit_chart_femalecolored.pdf - X-DNA Inheritance Chart for Female Focus Person. Xinherit_chart_malecolored.pdf - X-DNA Inheritance Chart for Male Focus Person. 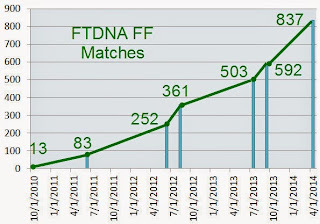 Debbie Parker Wayne, "DNA QuickRef Notes," Deb's Delvings Blog, posted 13 February 2015 (http://debsdelvings.blogspot.com/ : accessed [date]). I can't count the number of times I have attended a lecture, thought I perfectly understood what the speaker was saying, then could not figure out how to put what I had learned into practice after I got home. Most of us learn more by doing than by listening. For more advanced concepts this "doing" can be even more important than it is in a basics class. The BCG Education Fund Putting Skills to Work workshops give us two different half-day workshops in one day. Both workshops are at an intermediate to advanced level. Both provide hands-on exercises designed to complement the lecture material so we go home with practical skills we can immediately make use of. We leave knowing how to put what we learned into practice because we've already done so. At the NGS conference this year in St. Charles, Missouri, the BCG Education Fund, an independent charitable trust, sponsors the Putting Skills to Work workshops, on Tuesday, 12 May 2015, 8:30 am–4:30 pm. This intensive day of learning, limited to sixty students, focuses on skills needed by any genealogist and advocates established standards of the genealogical field. Topics are geared to intermediate and advanced practitioners. The registration fee of $110 includes lunch, hands-on exercises, and syllabus. NGS Conference registration is not required. These workshops are unique offerings even when the title is similar to sessions taught by these speakers in the past. Workshop attendees will participate in one workshop in the morning and the second workshop in the afternoon, getting both of these useful topics in one day. 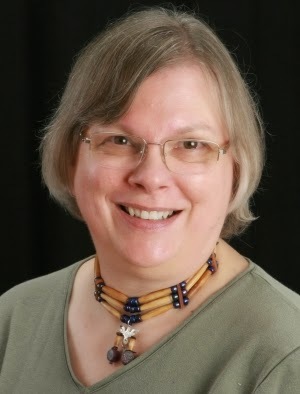 Barbara J. Mathews, CG, will lead the session "Evidence Analysis, Correlation, and Resolution: The Heart of the Genealogical Proof Standard." Focusing on only direct evidence creates unnecessary research dead ends. This session addresses weighing and correlating sources, evidence, and information in its diverse forms for successful resolution of thorny problems. There will be hands-on exercises and active class participation. Elissa Scalise Powell, CG, CGL, will lead the session "Baker's Dozen Steps to Writing Research Reports." Many researchers think that committing their research to paper is a separate process from performing the research. Use these thirteen steps to "write as you go" to use time more efficiently, drive the research process, and produce a sharable work product. Every genealogist needs to understand how to analyze and correlate evidence to ensure we place our ancestors in the correct families. We all should be writing reports, even if those reports are only to ourselves, so that we don't waste time trying to remember what we did when we last worked on a particular line. Come join these two experts and learn ways to efficiently and accurately perform research and record it. 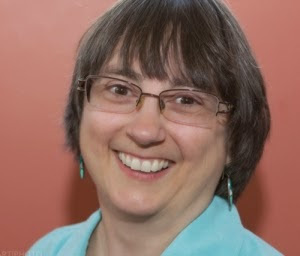 Debbie Parker Wayne, "Hands-On Workshops for All Serious Genealogists," Deb's Delvings Blog, posted 13 February 2015 (http://debsdelvings.blogspot.com/ : accessed [date]).